The CJ-10 (simplified Chinese: 长剑-10; traditional Chinese: 長劍-10; pinyin: Cháng Jiàn 10; literally: “long sword 10”) is a second-generation Chinese ground-launched land-attack cruise missile. It is reportedly manufactured by the China Aerospace Science and Industry Corporation Third Academy and the China Haiying Electro-Mechanical Technology Academy.The CJ-10 was initially identified as the DH-10 (Chinese: 东海-10; pinyin: Dong Hai 10; literally: “east sea 10”) by media and Western analysts. The annual United States Department of Defense reports to the United States Congress concerning Chinese defence developments used “DH-10” up to 2011, before switching to “CJ-10” in 2012. 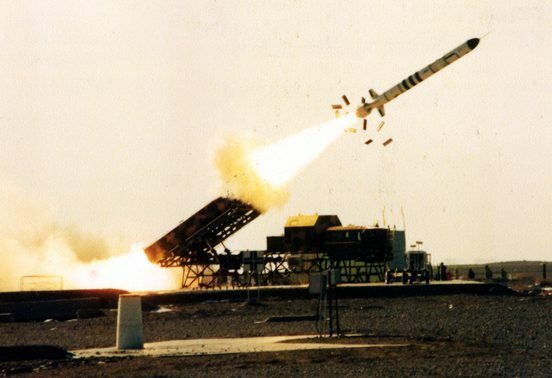 Extant publications may use both terms to identify the missile. Ian Easton believes that the CJ-10 is actually the same missile as the HN-2, and that the HN-3 is the “DH-10A”. The CJ-10 may have benefited significantly from foreign technology acquired by China throughout the 1990s, notably the Kh-55 (purchased from Ukraine), and the Tomahawk (unexploded and parts purchased from Iraq, Pakistan, and Serbia). No official Chinese source has confirmed this. Jane’s reported the CJ-10 was test fired in 2004. An August 2012 report by Jane’s indicated that a ship-bourne version of the missile may have been tested on Bi Sheng, a Chinese weapons trial ship. 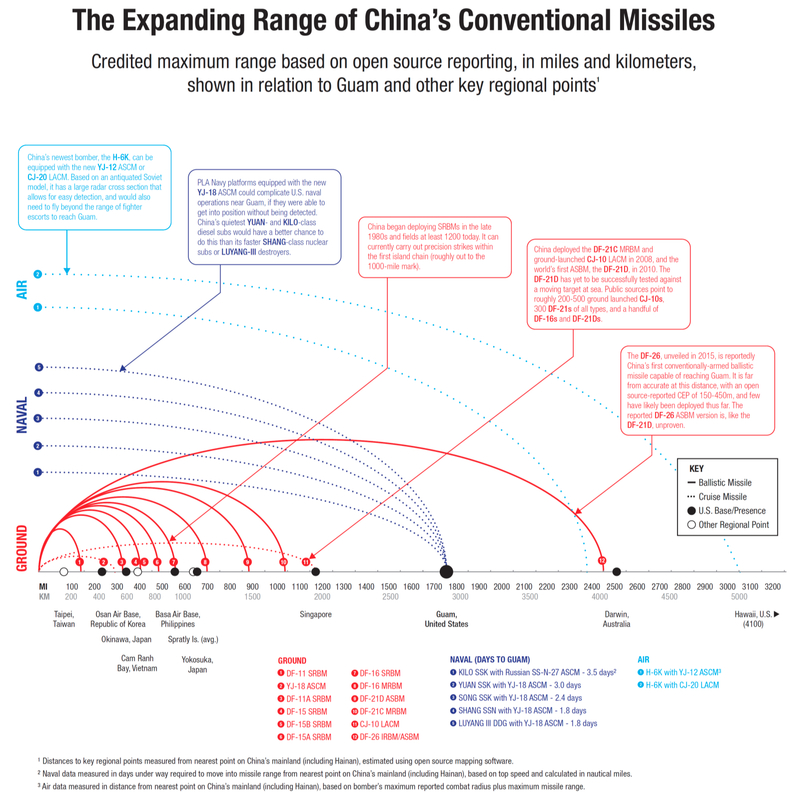 The United States estimated 50-250 missiles were in Chinese service in 2008, with the number increasing to 150-350 in 2009. The DH-10 (Dong Hai, or “East Sea” in English translation) is a ground-launched LACM that had been in development since the late 1990s and was tested for the first time in the Autumn of 2004. The DH-10 may have been developed from the Russian Kh-55 technology, but with a much shorter range –1,500 to 2,000 km as opposed to the 3,000 km range of the Kh-55. The missile is guided to its target by an integrated INS/GPS augmented by terrain contour mapping and possibly also digital scene matching, giving an estimated accuracy of under 10 m CEP, allowing it attack fixed, high-value land targets. 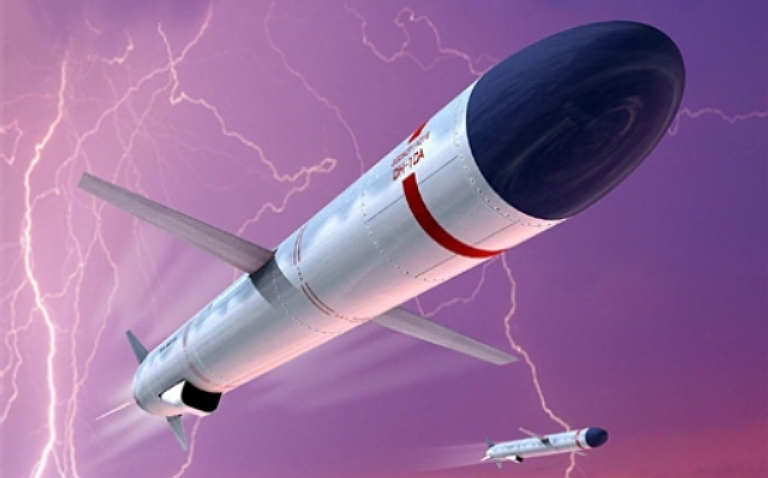 The missile features a cylindrical body with two retractable wings, four foldable tailfins as well as a concealed belly engine inlet. 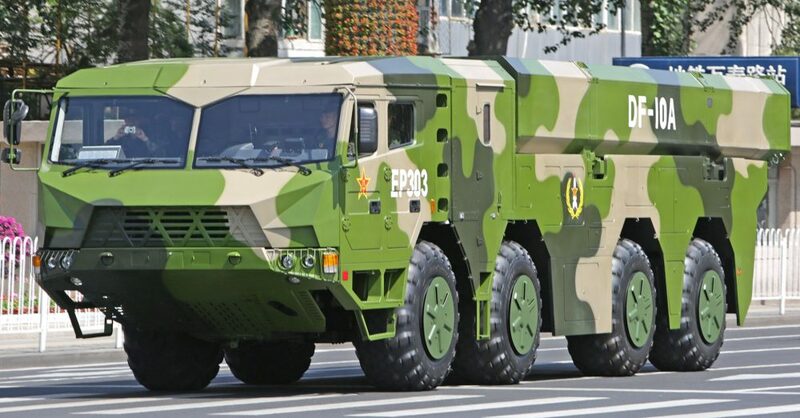 It is stored and transported inside box-shaped launchers, with three missiles carried on each Wanshan WS2400 8 x 8 TEL vehicle. The DH-10 was revealed to the public for the first time during the military parade in October 2009 to celebrate the 60th anniversary of the founding of the PRC. 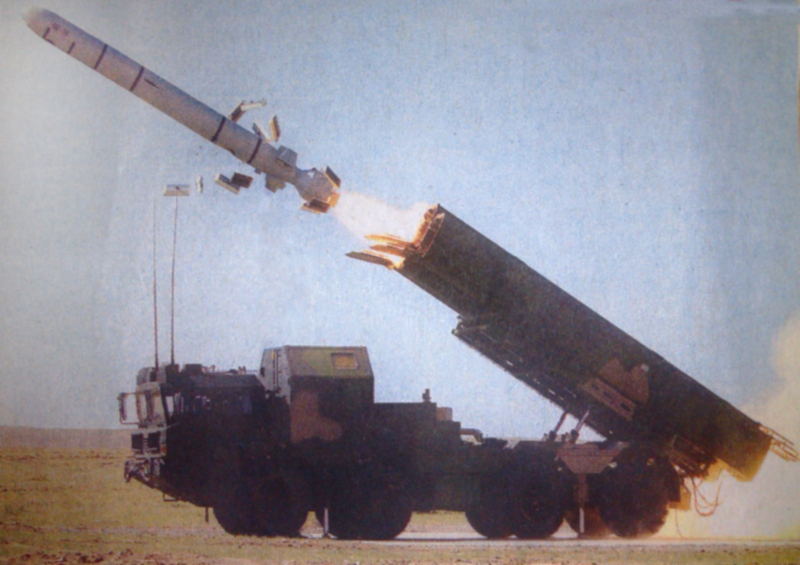 However, the missile’s designation was reported as the CJ-10 (Chang Jian, or “Long Sword” in English translation). 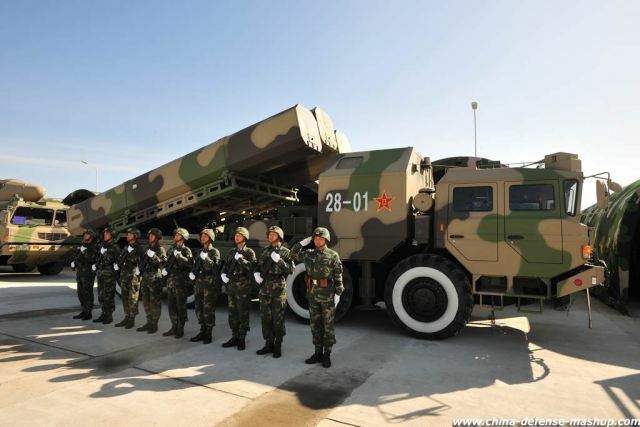 The 2010 U.S. DoD report to Congress estimated that by December 2009 China had deployed about 200 to 500 DH-10 LACMs and 45 to 55 launchers. Air-launched version with a 1500 km range; may be carried by the Xian H-6K. Ground attack cruise missile. Reportedly a stealthier, more accurate, version of the CJ-10. Supposedly a supersonic version of the DH-10A. Air-launched version of the CJ-10. Reportedly been tested on the Xian H-6; each bomber may carry four missiles externally. The flexibility of the DH-10 is its greatest strength. The 1550 mile-ranged H-6K bomber can carry 7 KD-20s (the DH-10’s air launched variant), giving the PLAAF the ability to reach Pacific targets distant as Hawaii. The Type 052D guided missile destroyer and Type 093A nuclear attack submarines can carry DH-10s in their vertical launch systems; sea-launched DH-10s can cover over 90 percent of all global land mass. The next generation of this family will be the YJ-100, a proposed DH-10 anti-ship variant that will have an onboard radar and 800km range, potentially China’s answer to the U.S. Long Range Anti-ship Missile. 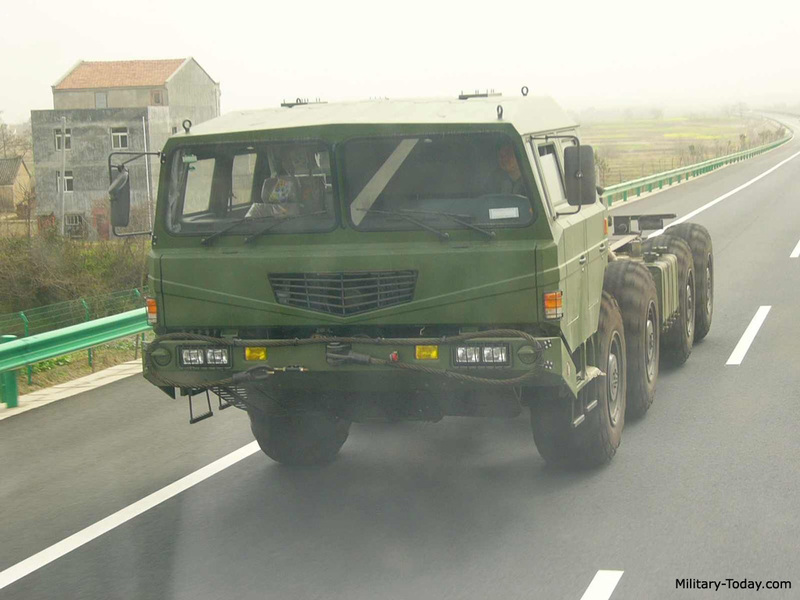 The Wanshan WS2400 is a heavy-duty high mobility chassis. This special wheeled chassis was designed to carry ballistic missiles and other weapon systems. It is widely used by Chinese armed forces. Older Wanshan trucks have been based on Soviet designs. The WS2400 evolved from the WS580, which in turn was based on a Soviet MAZ-543. Later production models were based on Belarusian MZKT designs, but benefit from German technology transfer. These are fitted with German engines and transmissions. It seems that the WS2400 has a payload capacity of 22 000 kg. 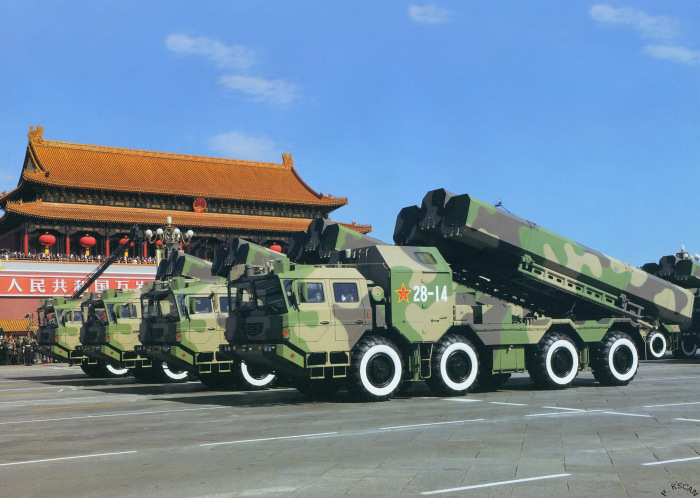 It is used as a launcher vehicle for a number of missile systems, such as DF-11 short-range ballistic missile. Also there are some other applications of this 8×8 wheeled chassis. Vehicle has a forward control cab with 4-doors. It accommodates driver plus around 7 passengers. The WS2400 is powered by a Deutz turbocharged diesel engine, developing 517 hp. This engine is license-produced in China. Engine is located behind the cab. It is mated to ZF automatic transmission. Vehicle has an 8×8 configuration. Vehicle is fitted with a central tyre inflation system. Tyre pressure can be adjusted by the driver while the vehicle is on the move, to suit the terrain type that is being crossed. Vehicle has good cross-country mobility and can operate off-road. Fuel consumption is around 70l/100km. Vehicle can operate in climatic conditions, ranging from -40°C to +50°C. This entry was posted in Uncategorized on January 13, 2017 by nonothai. The DH-10 is a old cruise missile using a turbo fan that has a 1.8 mach speed.The new cruise missile will used a turbo-scram jet engine for mach 6 speed ,See Popular Science article on Wang Zhengou turbo-scram jet engine with ptctures of how it works and Shou-En Zhu low cost ,light weight grapheme alloy frame.A stealth J-28 airplane few at mach 6 speed for several hours and landed on September 18,2015 using two turbo-scram jet engines on top and a grapheme alloy airframe.The latest J-28 might have quantum radar and 6 PL-15 air to air missiles that has a 80 miles range hidden in its bay.